My first ever lecture at IMG Wealth Academy was entitled “Preparing Your Financial Plan”. It was intended to be a do-it-yourself (DIY) financial planning process which the IMG team if Iligan City can adopt for themselves. I started off by soliciting from the audience, their concepts and ideas of financial planning and why it's importance. Then I presented the steps towards responding to the three questions.Financial planners differ in approaches in advising their clients on the steps to undertake in their making their own financial plans. I concocted my own steps which I think would simplify the process. Some call it a road map. This involves knowing what you want in life. It could be basic as setting up an emergency fund, paying off debt, buying a car, owning or renovating a house, travel abroad, and building up a retirement fund, among many others. You then put a timeline when you want to realize your dream. Step 2: Put a price to each dream. With a price or cost, your dreams become your financial goals. Determine what year you wish to attain each of your financial goals. Then estimate its future value by multiplying it with a factor corresponding to the inflation rates with the target year. A future value table will be accessible to readers as soon as downloading function is incorporated in this site. Step 3: Organize and prioritize. Step 4: Determine monthly savings needed for each financial goal. Your savings need to be invested on investment vehicles of your choice. The higher rate of return your money is invested, the lower the savings you need to put up for your financial goal. 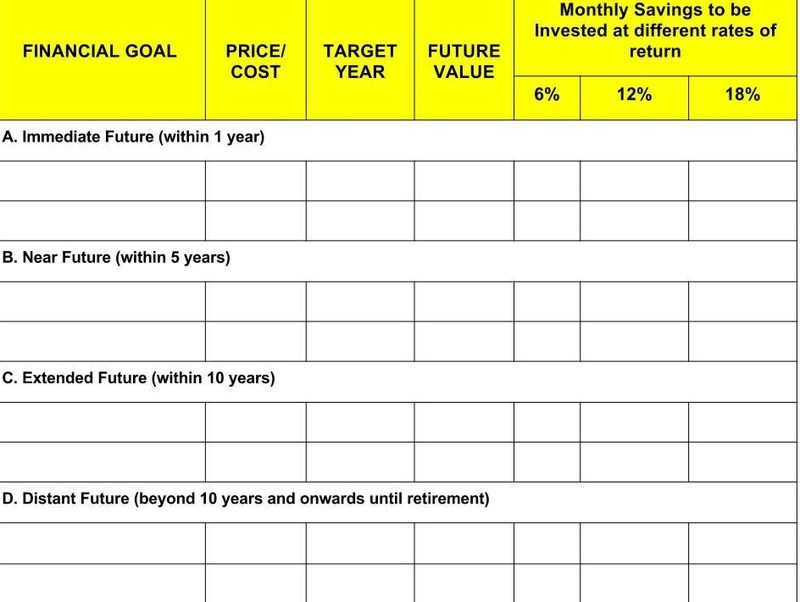 The monthly savings needed is computed by dividing the future value of your financial goal by a factor. Step 5: Review your financial statements. Financial statements refer to your net worth and your income and expenditure worksheet. The step is needed to determine what is your current financial position. This assumes that you already have these documents prepared. Step 6: Prepare a new budget. This assumes that you have an existing budget which needs to be adjusted to incorporate your savings plan to achieve your financial goals. You should learn as well a DIY budget or spending plan. This is integral to complete the DIY financial planning cycle. Step 7: Devise strategies to increase your cash flow. This is the hardest part of the planning process. You need to identify what budget items to let go and finding ways to earn additional income. Step 8: Execute, monitor, review and adjust. Your task need not end in coming with a blueprint. Your financial plan need to be implemented and subjected to periodic review to track your progress and adjust accordingly. We have just illustrated a simple to follow Do-it-yourself DIY financial planning process in eight steps. 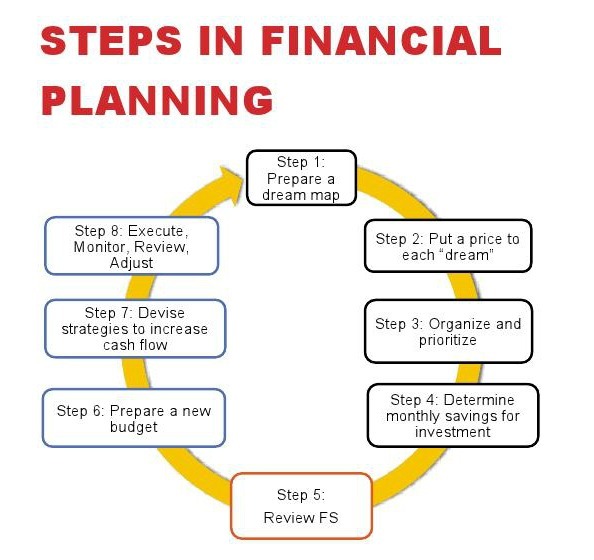 We simulated the steps with sample financial goals of participants. We hope to enhance this module in the future Wealth Academy seminars for this particular topic.